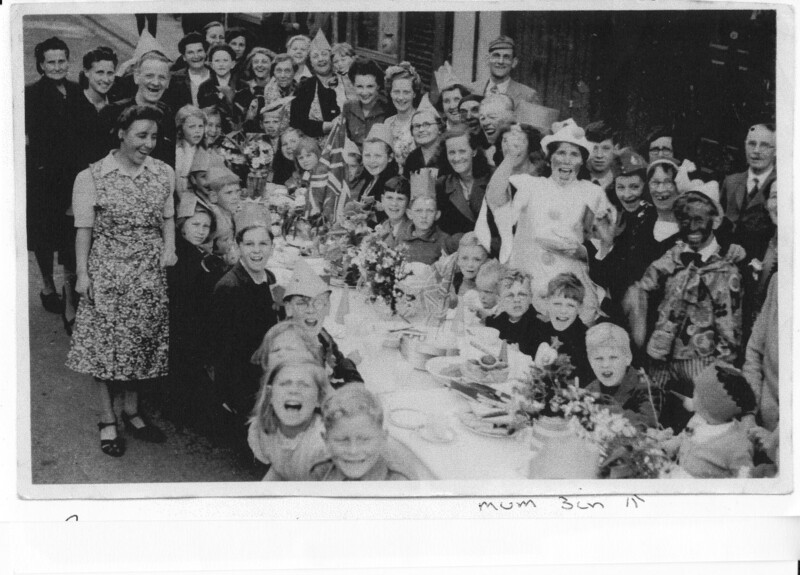 I think this is a photograph of a street party in Richmond Buildings to celebrate possibly VE day? Perhaps someone remembers this – or was it another celebration? My nan Lottie Laker is pictured in the photo, she lived at 45 Richmond Buildings with her mother and father, Percy and Annie Laker. I would love to hear from anyone who remembers them or has any interesting stories about the street. If you have any memories you can share – or if you recognise yourself or anyone else in the photograph, please leave a comment below. Hi Nicky, I lived in Richmond Buildings in 1951 until 1954. My sister and me, Pat and Christine Marshall, lived next door to a Mrs Laker. We were fostered by Mrs Cooper, she had a son Michael and two foster boys, David & Freddie Perkins. I remember we caught the curtain alight around the mantlepiece over the fire, we were there on our own and we ran next door and got Mrs Laker. She came in and put it out for us. I was at the Coronation party in 1953, but I don’t recognise anyone in this photo. Have you any other photos? I would love to see them. By Pat Richards (was Marshall). Hi Pat, did John Marshall have a son called Ricky? My mum has a picture of Vi’s second marriage and we think Micheal is it.Yeah we still live in Brighton.